I first met Sara and Janet at St. Gregory of Nyssa Episcopal Church on Potrero Hill, across from Anchor Brewery. The smell of hops was heavy in the air, and there were ninety dancing saints painted on the walls looking down on the scene. Over the next eighteen years, we each took a different path toward a similar goal—nourishing our community. Now we are coming together to raise awareness of the problem of food insecurity in San Francisco and to offer direct support to the hungry. As you know, I went on to found ZEGO and started creating the delicious free-from snacks you know and love. What you might not know, is that I also started a nonprofit called A Better Course to improve nutrition for low-income kids. Sara started a thriving food pantry around the altar at St. Gregory’s, which is now a nonprofit (The Food Pantry) run largely by the people who get groceries there. Janet built Canyon Market in Glen Park, one of the most popular neighborhood markets in the city, with a focus on fostering successful employees and a healthy community. Food with a mission – one of the essential parts of life made available to everyone. Food shapes not only our bodies but our communities. And this is where you come in. 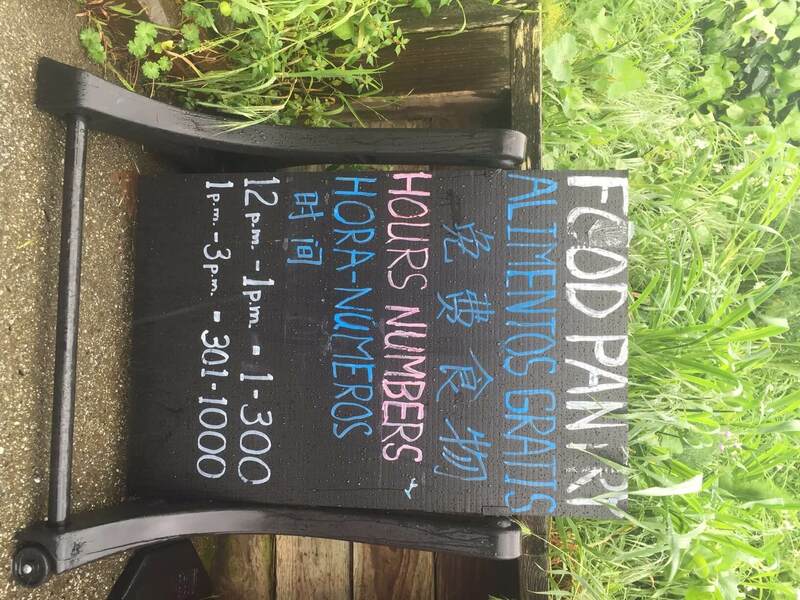 During the month of April, we are raising awareness of the persistent problem of hunger in San Francisco, and raising money for The Food Pantry, which Sara directs. Canyon Market and ZEGO will donate $1 per ZEGO nutrition bar sold at Canyon Market during the month of April to the pantry. Each dollar, through partnership with the San Francisco & Marin Food Bank, will buy a whole week’s worth of healthy, fresh groceries for one of the 400 families who use The Food Pantry each Friday! If you ever wanted to make your dollar go farther to helping those in need, now you can. Just by buying more snacks for you and your family. In San Francisco, one-in-four residents face the threat of hunger every day. Even with the support of food pantries and programs like school lunch, Meals on Wheels, Cal Fresh, soup kitchens and WIC, San Franciscans miss 29 million meals each year. The high cost of housing in the Bay Area means that many working families struggle to put food on the table––which is why the whole community’s work against hunger continues. This is your opportunity to join our food with a mission objectives. In addition to the ZEGO donations for each bar sold, A Better Course will also be offering a “bonus bucks” program at the value-priced Alemany Farmers’ Market in San Francisco this summer to continue supporting neighbors in need. People purchasing $10 or more in produce with their Cal Fresh benefits will receive an extra $10 in purchasing power at the market that day. If you are local to the San Francisco area in April, visit us at Canyon Market and know that with every ZEGO snack you buy for yourself, you are donating a bag of healthy groceries for a family in need. Nice return on investment, right? Canyon Market is open 7 days a week from 7am-9pm. I will be sampling ZEGO bars at the market and telling people more about the project on April 4th from 4-7pm and April 8th from 11am-2pm. I would love for you to stop by and say hello!